Rates | Snake River Taxi | "Ride the Snake..."
Taxi fares for the Jackson Hole area are established by the Jackson Hole Airport Board of Directors, and the Jackson Town Council. All taxi companies permitted to operate in the Jackson Hole area are required to charge the same fares per destination. This is why you won’t see meters in any cabs in Jackson Hole. 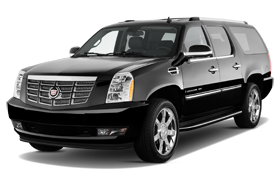 Airport rates: These rates apply to trips originating or terminating at the Jackson Hole Airport. Town of Jackson Rates: For all trips within the town of Jackson, the maximum fare is $12 for 1-4 people plus $3 for each additional passenger. Teton Village/Wilson Rates: For all trips between Jackson and Teton Village, the maximum fare is $35 for 1-4 people plus $5 per additional passenger. Waiting time: Sometimes you need to make a stop or two on your way to your final destination. We understand. We don’t charge a wait fee for the first 10 minutes. After that fees are $1.50 per minute. Payment methods: Of course cash is great, and we happily accept all major credit cards.